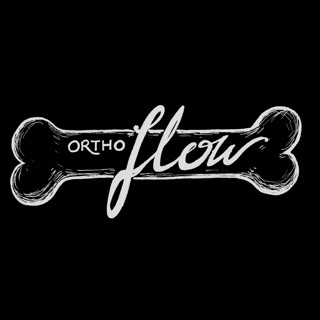 Ortho Traumapedia is designed to provide quick access to information important to the treatment of adult skeletal trauma. 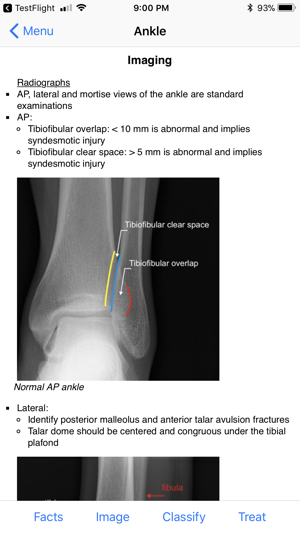 Based on extensive literature review, Ortho Traumapedia compiles the current standard of care in a high-yield, easy to use format including dozens of original images to help visualize fracture patterns and radiologic findings. 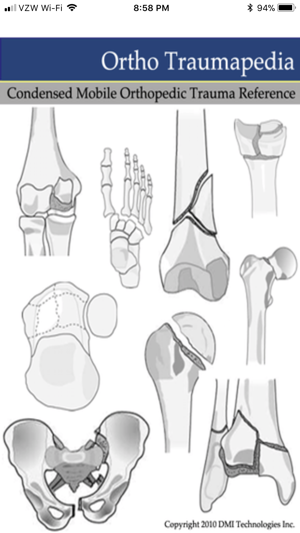 Originally developed by orthopedic surgeons for orthopedic surgeons, practitioners of all levels and specialties who encounter adult skeletal trauma will find Ortho Traumapedia useful as a condensed reference and educational tool. Whether you’re a primary care or emergency physician, physician’s assistant, nurse practitioner, resident or medical student, Ortho Traumapedia provides highly pertinent information regarding skeletal trauma right at your fingertips. Facts begins with epidemiology and common injury mechanisms. This is followed by an outline of pertinent anatomy, eponyms and variants. Finally, patient presentation, examination and management tips are presented. Imaging begins with the standard radiographic examinations for each anatomic region. This is followed by injury-specific views, relevant metrics and findings as well as supplemental modalities. 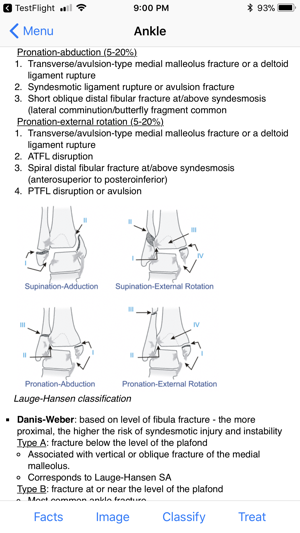 Classification outlines the most common classification systems used to describe the selected injury. Treatment begins with general treatment principles and reviews treatment in the acute setting. This is followed by standard of care options grouped by injury pattern. 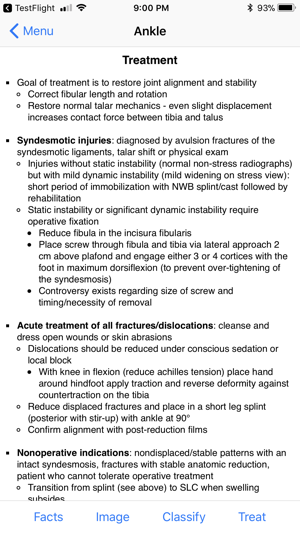 Common complications associated with the injury are included at the end of this section. Simply select the bone or joint you’re interested in from the main menu and navigate between the four sections with the buttons on the bottom of the screen. Return to the main menu by pressing the left arrow in the title bar. 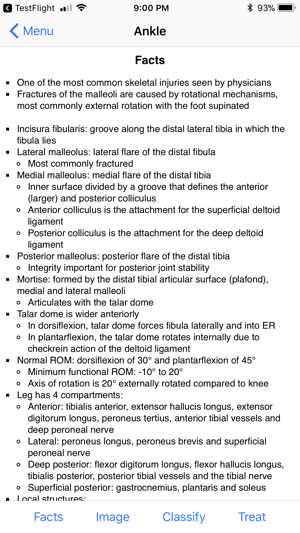 There's never been a simpler, more mobile skeletal trauma reference! 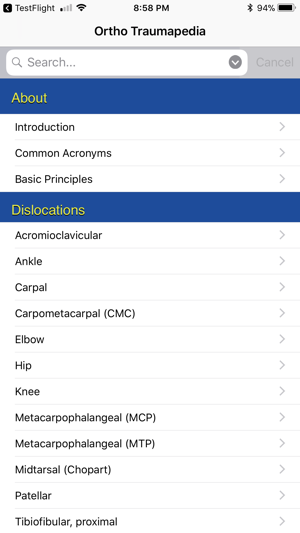 I am an ER physician and this app is very useful when you want to determine possibility of fractures or dislocations when you do not have a radiologist on call. 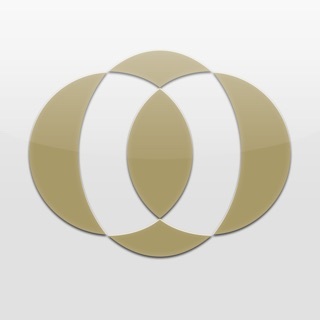 Will recommend this to anyone. This app has been helpful, however it no longer works for iOS 11. Please release compatible update. Thank you.